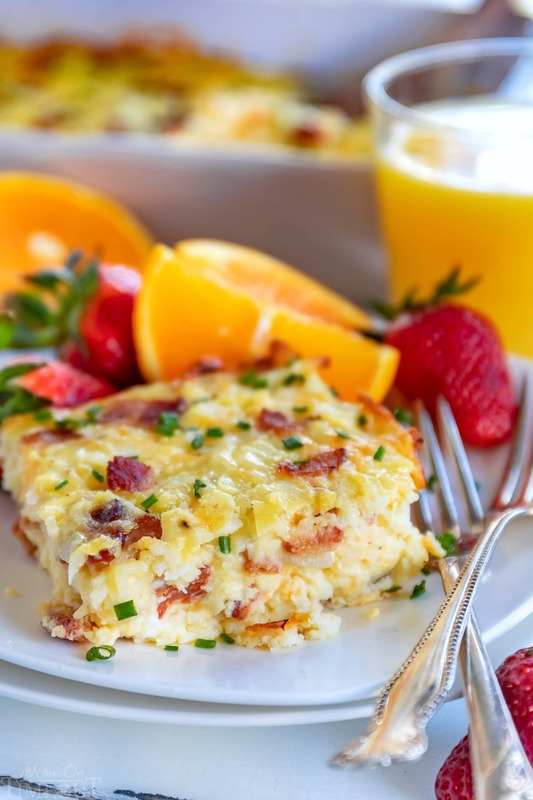 Easy Hashbrown Breakfast Casserole is perfect for entertaining a crowd or serving up a simple weekend brunch. 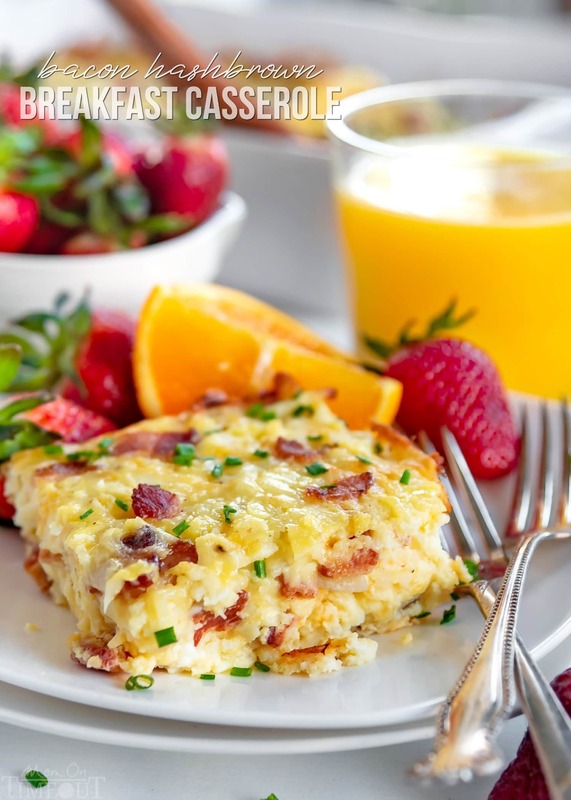 Made with frozen hashbrowns, eggs, bacon, and three different types of cheese, this savory breakfast casserole can be made in advance and is designed to feed a crowd. Serve with homemade biscuits and fruit salad for a simple yet delicious breakfast! I love to mix it up for breakfast. 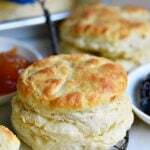 Sausage gravy and biscuits, blueberry scones, pancakes and bacon – you get the idea. But we always come back to our beloved casseroles. Casseroles are one of my favorite types of food. They work equally well for dinner as they do for breakfast and are a staple in our house. I’ve shared many casseroles before here on Mom On Timeout – some sweet like this Triple Berry French Toast Casserole and some savory like this Tater Tot Casserole. What can I say? I love casseroles! Today I have another amazing breakfast casserole to share with all of you, one that you’ll be making for years to come – I’m sure of it! It’s perhaps one of the easiest breakfast recipes and it’s super versatile and easily customizable. 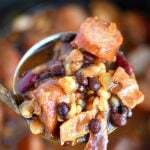 And, dare I say, the best casserole recipe I have on my site. I’m not even kidding here folks. 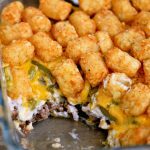 There are a few things that make this breakfast casserole stand out above and beyond any others that I’ve had before for a few reasons. Combination of cheeses. You’ll find three different type of cheeses in this casserole: cheddar, Swiss (can also use Gruyere if you’re filling fancy), and cottage cheese. 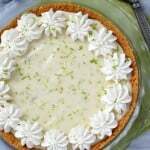 I used Friendship Dairies 4% Small Curd Cottage Cheese for this recipe. 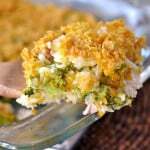 The flavor is amazing and it adds a lovely creaminess to the casserole. 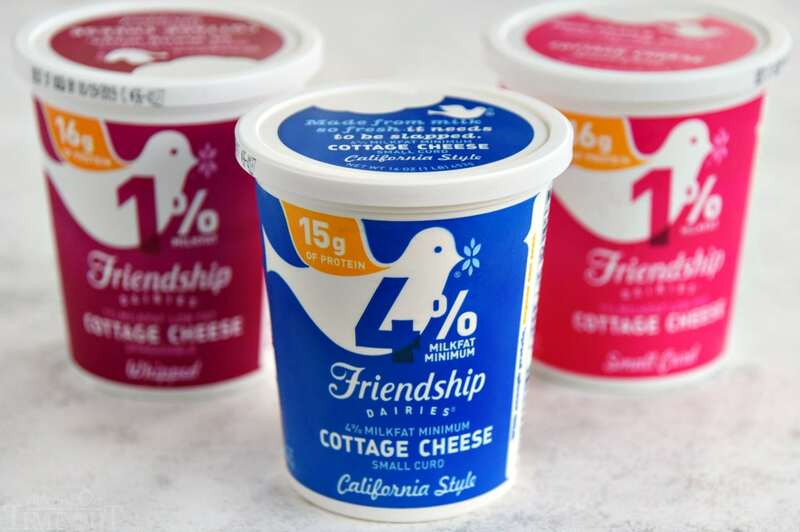 And the funny thing is NO ONE notices the cottage cheese. It just kind of disappears into the casserole leaving your friends and family wondering what your secret ingredient is. Versatility. I’m sharing the bacon version today but we make it all the time with sausage, ham, turkey bacon, veggies, whatever sounds good and let’s be honest here, whatever I happen to have on hand at the time. Prep Time. Very minimal. It’s about 5 minutes of actual work. I mixed everything up in a bowl for the video (see below), but in reality, I would probably just toss it straight into the casserole dish and mix it in there. I’m always up for less dishes to wash 🙂 Honestly, if you were to go with ham, it would be even faster. I would still saute the onions in a little olive oil to soften them up before throwing them in though. 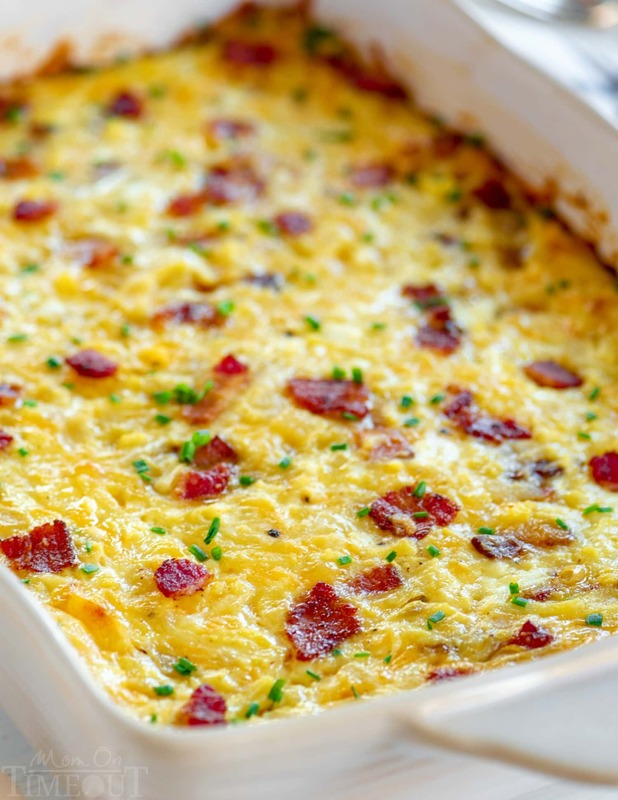 Breakfast casseroles are the way to go when entertaining. They can be assembled in advance and thrown in the oven as your company starts to arrive. You do want to allow for about 10 minutes for this casserole to set up after removing it from the oven. Complete all steps except for baking, cover and refrigerate the night before. Take out of the fridge as your oven is preheating and bake for an additional 10 or 15 minutes. Easy! 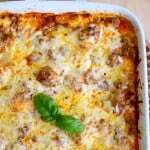 This breakfast casserole can be made with any type of breakfast meat or veggies to suit the needs of your family or guests. 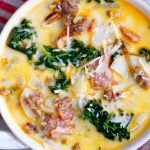 If you have a large family or are serving brunch for your guests, this easy breakfast casserole is perfect! 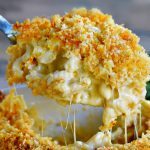 You can easily get 12 servings from this recipe and it’s just as easy to make up a double batch as it is to make a single casserole. You guys. It really doesn’t get any easier than this. Hash browns, eggs, cheeses, salt, pepper and a little hot sauce if you want. The casserole itself is so simple to make and most of the ingredients aren’t costly. It’s one of those meals that I consider “hearty not heavy”. 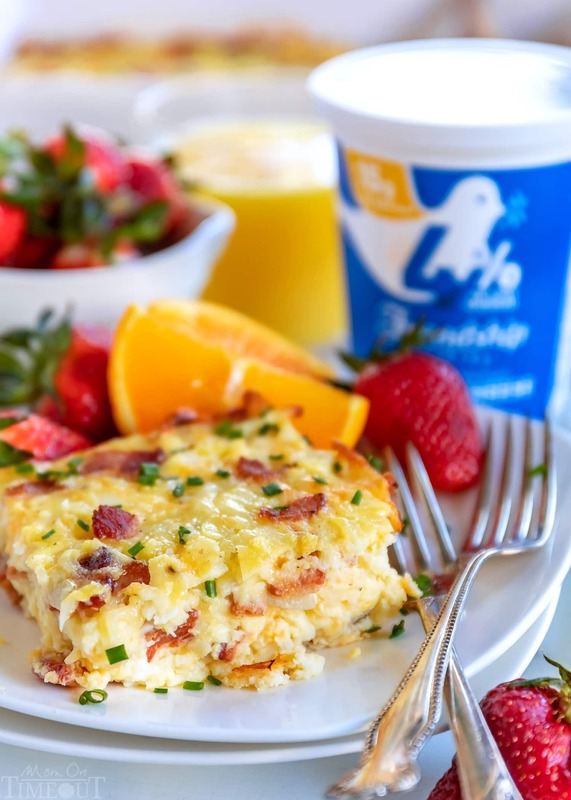 You get a super protein punch between the eggs and cottage cheese and the hash browns make it extra filling. The casserole itself is so simple and delicious but I do like to dress it up with some fresh chives. Just snip them right over the top of the casserole. It adds a subtle onion flavor and a lot of freshness. 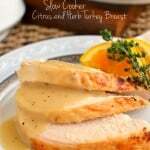 Serve with fresh fruit and juice and you’re done! 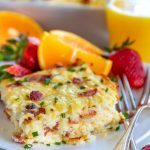 Easy Hashbrown Breakfast Casserole is perfect for entertaining a crowd or serving up a simple weekend brunch. 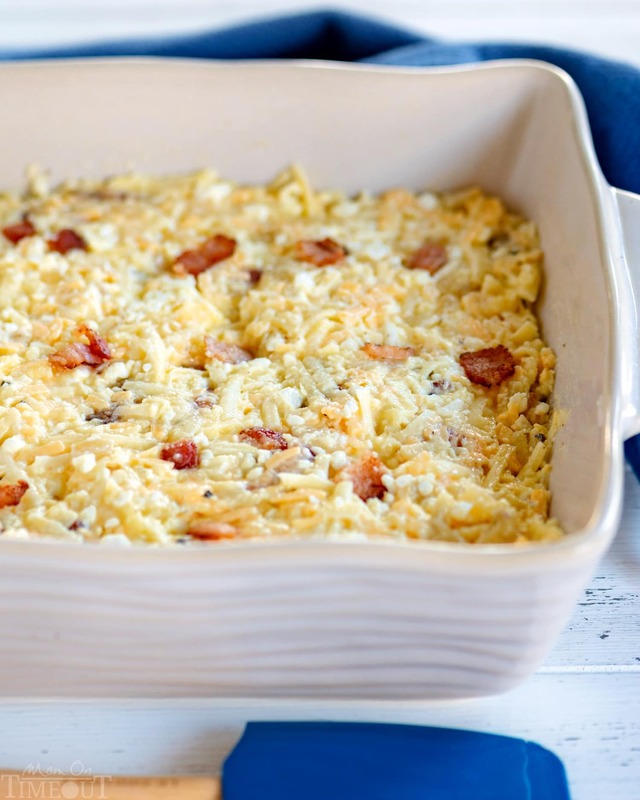 Made with frozen hashbrowns, eggs, bacon, and three different types of cheese, this savory breakfast casserole can be made in advance and is designed to feed a crowd. Preheat oven to 350F. Grease a 9 x 13 baking dish and set aside. Add bacon to a large skillet and cook over medium heat until nice and crispy. Add onions and cook until translucent. Remove and drain on a paper towel. In a large bowl, whisk together eggs, salt, pepper, and hot sauce. 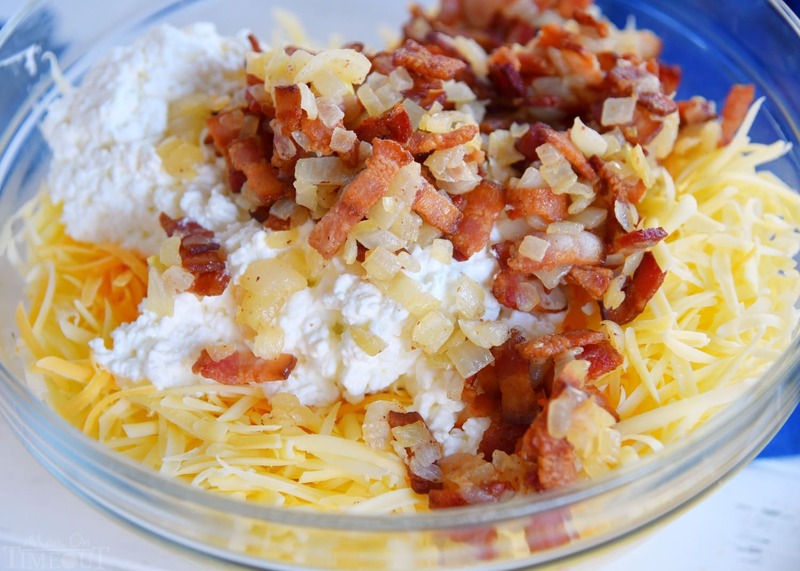 Add hash browns, shredded cheese, and cottage cheese. Scoop mixture into prepared baking dish and bake for 35 to 45 minutes or until center is set. Let casserole rest for 5 to 10 minutes before serving. Top with snipped fresh chives if desired. 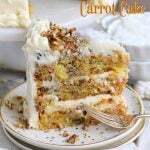 I love all your recipes and videos. I tried to watch this video but an ad came up every few seconds and I just gave up. I’m still going to make the recipe though. Looks so yummy. 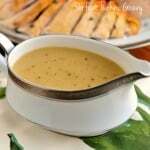 Thank You very much, your recipes are always delicious and easy !!!! Thank you so much Christine! 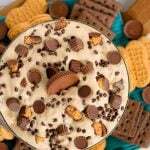 It is amazingly delicious, I’m sure you’ll love it! Have a great week!